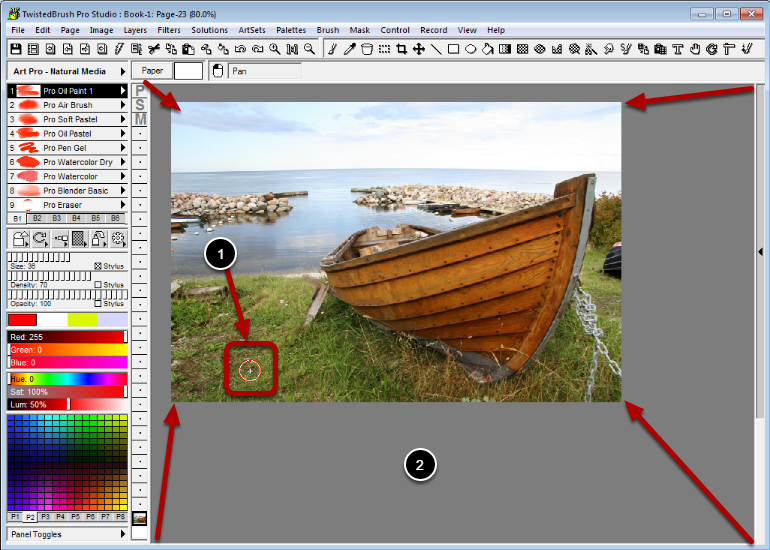 In TwistedBrush Pro Studio the drawing area is the large gray background area in the center of the application. Within this area the canvas (paper) is displayed. This canvas defaults to be in the upper left of the drawing area but this can be adjusted. Enable the Center Page setting from the Preferences dialog. The canvas is centered in the drawing area. 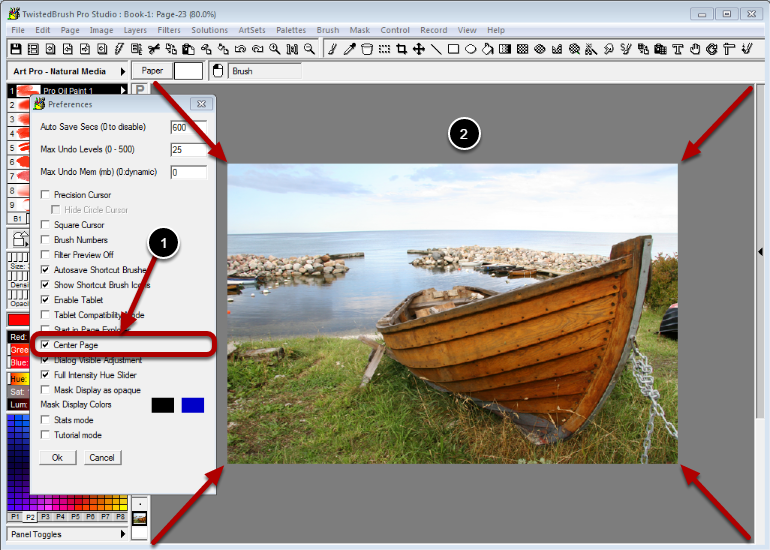 Press and hold down the Spacebar and then left click on the canvas and drag to position the canvas freely. Notice the cursor changes to this look with the red outline to indicate the a special action is taking place. The canvas has been moved to the desired location.